The new data, compiled by Kantar Worldpanel ComTech, showed that the iPhone 6 was the best-selling individual smartphone in China with a 10.2 percent share, a figure which grew from 9.5 percent in a three-month period ending in January. 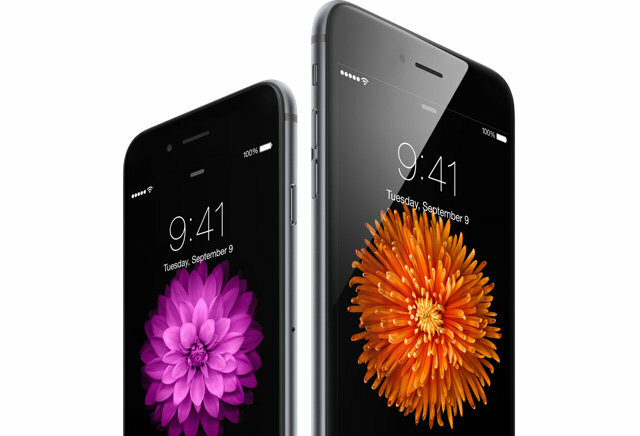 The iPhone 6 Plus came in third place behind the Xiaomi RedMI Note. Apple's overall share increased 9.7 percentage points year-over-year, enough to push Xiaomi down to second place among smartphone brands. Xiaomi is a native Chinese firm that has rapidly conquered much of the local smartphone market, having only released its first phone in 2011. The iPhone also saw advances in the five major European countries (UK, Germany, France, Italy and Spain) during the February quarter, with its share growing 2.9 percentages points year-over-year to 20.9 percent, at the same time as Android dipped 2.9 points to 67.6 percent. Kantar noted that iPhone 6 led in the crucial UK market, keeping ahead of the Samsung Galaxy S5, which saw increased sales despite Samsung preparing to launch the Galaxy S6 and S6 Edge. Apple's U.S. phone marketshare declined year-over-year from 39.3 percent to 38.8. Here also the iPhone 6 was the best-selling smartphone, with buyers citing screen size, LTE support, and reliability and durability as the main factors in their shopping decisions. Notably, while only 45 percent of iPhone 6 buyers mentioned screen size, that figure reached 70 percent among 6 Plus owners. The Chinese market has become extremely important to Apple. During the company's first fiscal quarter, revenue from all Apple products in the region topped $16.1 billion, approaching the $17.2 billion taken from Europe. The Americas were Apple's most important region though, well ahead at almost $30.6 billion.